You are going to Watch One Piece Episode 375 English dubbed online free episodes with HQ / high quality. Stream Anime One Piece Episode 375 Online English dub Not Out of Danger Yet! Orders to Annihilate the Straw Hat Crew.All of Moria’s victims recover their shadow and celebrate regaining their ability to enter daylight. Luffy, Zoro, Sanji and Robin recover their shadows in time to avoid being disintegrated. 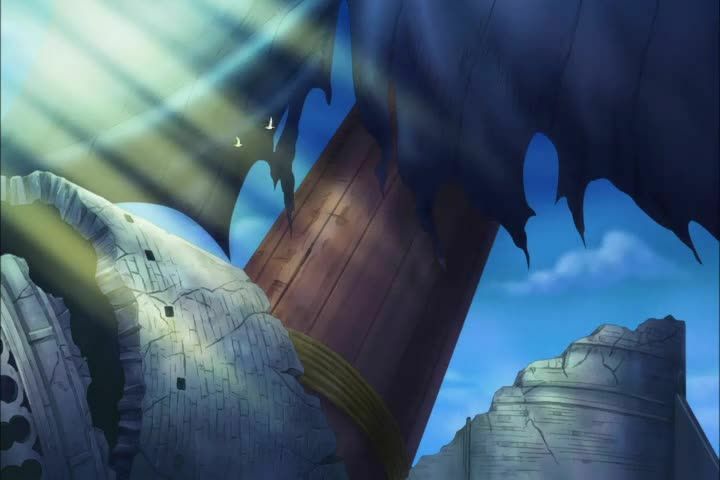 Luffy lies unconscious from his wounds and using Gears Second and Third against Moria, and Usopp worries about him endangering himself by having to use those techniques on the stronger enemies ahead. Kuma receives orders from the World Government to kill everyone on Thriller Bark in order to cover up Moria’s defeat. He attacks the survivors with a strange move that sends several people flying backwards, before turning his attention to Zoro.